Blue Water Task Force Labs across North America sample at a variety of locations, including rivers, lakes, ponds and of course, ocean beaches. But, during storms or high swell periods the water can be rough, and during the winter the water can be very cold. 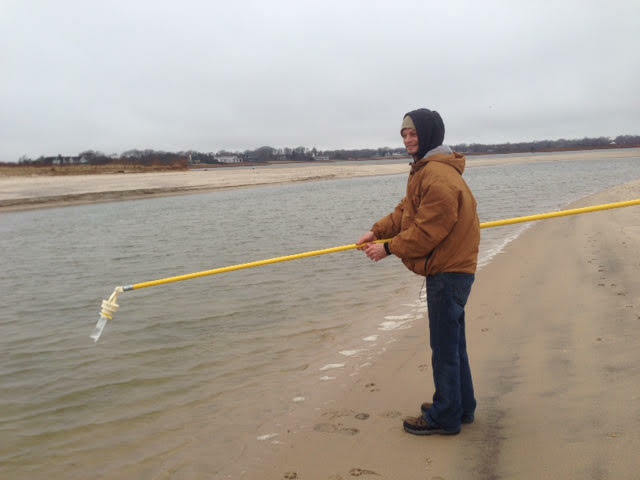 In these circumstances, having a sampling pole to help collect samples can make it both easier and safer for our volunteers to collect samples year-round in all weather conditions. 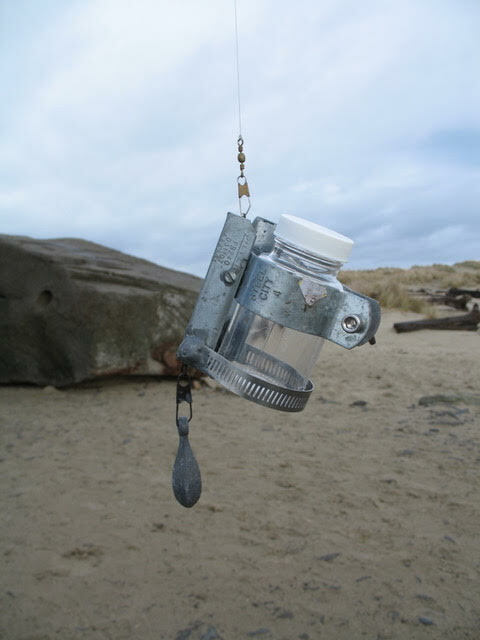 Nasco Swing Sampler for Sampling Bottles ** If purchasing the Swing Sampler, please check the size of your sample collection bottles as you may have to purcahse a separate smaller "Snapper Attachment" to accomodate your bottles. Here's what the pole looks like in action! If your lab is on a tight budget, there are a few ways our labs have created a Do-It-Yourself sampling pole. Take for example, Lary Brammer from Oregon's Depoe Bay Blue Water Task Force Program. He named this method the "No-Brammer" method. View the videos below. 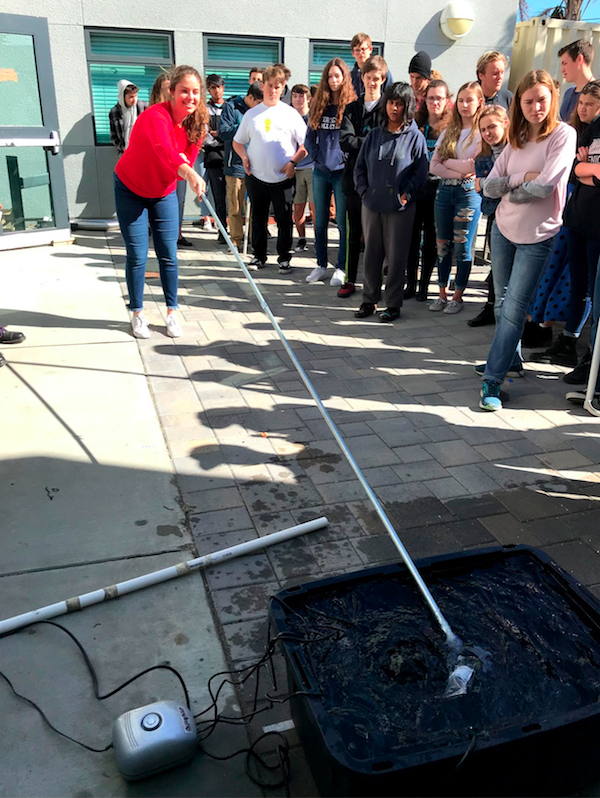 The Ventura County Chapter's Blue Water Task Force partner, Foothill Technology High School, was also having challenges sampling at their local beaches when there were large swells, so they teamed up with the engineering program to create prototypes for sampling poles. Here's an example of the students trying one of the prototypes out! That being said, if the sampling conditions remain dangerous even with a sampling pole, please do not continue sampling. Volunteer safety always holds higher priority than collecting water samples! 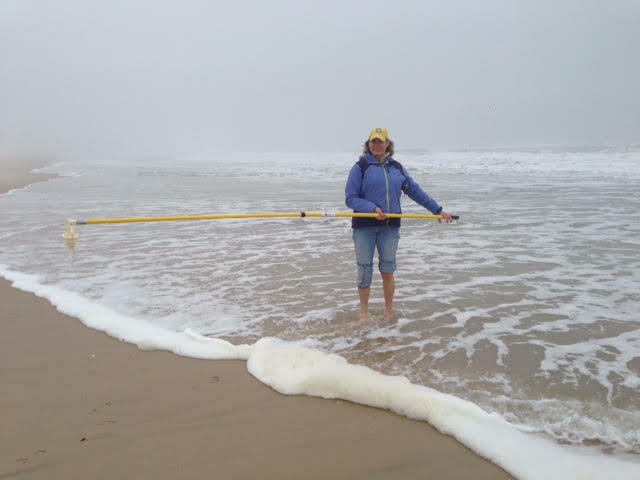 If you have any questions regarding options for sampling poles, or if your lab has come up with an innovative way to sample in cold or rough conditions, please contact Colleen at chenn@surfrider.org.